Situated on the second floor off Shotover Street, Roaring Megs offers an intimate atmosphere with a reputation for quality meat dishes. A testament to the food on offer has seen the restaurant receive the Beef & Lamb Hallmark of Excellence Gold Plates for 15 consecutive years and win Central Otago & Lakes District's Restaurant of the Year. Swiss chef Dominique Jeanneret and wife Sharon have a huge amount of hospitality experience delivering a menu that's a delight for meat connoisseurs, featuring the signature dish of Roast Rack of Southland Lamb, Baked Wild Fiordland Venison and Leg of Marlborough Hare. 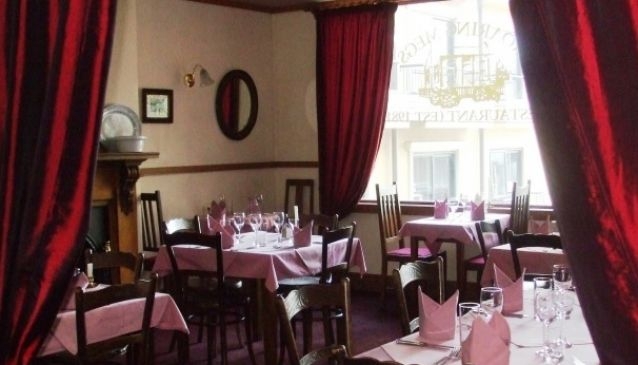 The décor is elegant Victorian with a candlelit setting for romantic evenings and intimate group dinners.